Restores the full final conversation with Anderson on the Citadel. 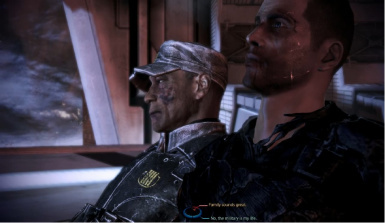 This mod restores (mostly) the full final conversation with Anderson that was severely shortened in the released game. This mod requires the Extended Cut DLC to function. This mod installs by adding itself as DLC. No game data files are overwritten***. There is no separate uninstaller; to uninstall simply delete the folder "DLC_CON_ExtAnd" from the ME3 DLC folder. Thanks to WarrantyVoider for creating ME3Explorer without which this (and most other mods) would not exist.